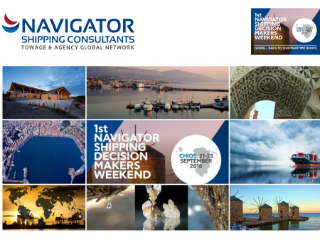 This year NAVIGATOR – The Shipping Decision Makers Weekend “is going . . back to the Greek maritime roots” by taking place in Chios, the island that is the birthplace of many shipowners, executives and seafarers and thus is considered to be one of the most important shipping places. It gives us great pleasure to announce that NAVIGATOR SHIPPING CONSULTANTS will proudly host the NAVIGATOR– ‘The Shipping Decision Makers Weekend’ on the occasion of the 18th NAVIGATOR FORUM, which will be held at Chios Island on 21st, 22nd & 23rd September 2018 for the very first time. Aiming at enhancing and continuing the Greek Shipping history, the last five years, we annually honor Greek islands & places which have contributed to the development of Greek Shipping like Oinousses, Hydra, Lesvos, Chios and Piraeus. 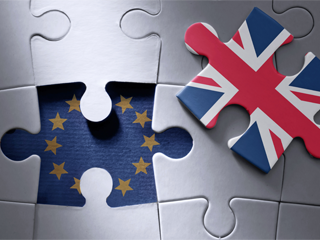 It is a great honor for us, that our initiative is embraced and supported by many Maritime Organizations, Shipping Companies, the entire Maritime Press and the local community with the registrations to exceed 250. Having succeeded in establishing an open dialogue among the participants, this year we will discuss current issues, that concern shipping at national and international level, such as Ports & Supply Chain, Innovation & Technology, Human Factor & Soft Skills, International IMO Regulations, communication between office – ship and the role of education in the new challenges of Shipping. Dr. George Pateras, Managing Director – AEGEUS SHIPPING S.A. & President – Hellenic Chamber of Shipping will address the opening remarks and will give a speech under the title the issue “To scrub or not to scrub”. Elena Athousaki, Head of Maritime Sustainable Center - PwC, Katerina Skourtanioti, Managing Director - VENLYS Maritime Specialisation Services, Roberto Coustas, Co-Founder & CEO - DEEPSEA TECHNOLOGIES, Costis Achladitis, Managing Director - GOLDEN CARGO & 2nd Vice Presindet – PCCI, George Skrimizeas, General Manager - ALLSEAS MARINE S.A., Anna-Maria Kotrikla, Assistant Professor / Department of Shipping, Transport and Trade, UNIVERSITY OF THE AEGEAN. Dr. Serafim Kapros, Professor - University of the Aegean, Maria Lekakou, Professor - University of the Aegean & Dean - Business School, Maria Kakka, Director of Studies - Chios Merchant Marine Academy of Engineering, Capt. George Tsouris, President, Chios Marine Club & Ops. Manager- BLUE PLANET SHIPPING S.A., Michael Fragkias, Designated Management Representative & Safety Manager - Sun Enterprises LTD, Costas Kalargyros, Group HR Director, Latsco Shipping Ltd , George Georgoulis, Laboratory and Teaching Staff - University of the Aegean. During the “NAVIGATOR – The Shipping Decision Makers Weekend”, a traditional Chian Feast, an excursion to Mastichochoria and a tour at both the Museum of Masticha and the Nautical Museum are planned for all Forum’s participants.